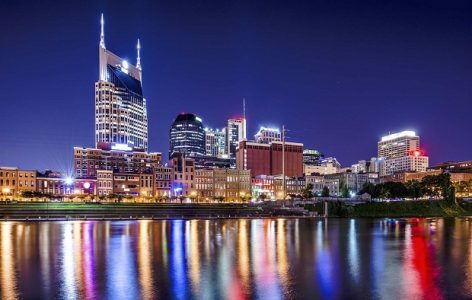 Nashville is the most expensive business destination in the USA based on the cost of its lodging. A survey conducted by CheapHotels.org of hotels rated at least 3 stars found it to be the costliest to stay overnight in among the 30 most populous U.S. destinations during the month of October. At an average price tag of $261 for its most affordable room, the capital of Tennessee topped the only slightly less expensive Boston ($257 per night) and third-place Washington, D.C. ($192 per night). At the opposite end of the spectrum, another Tennessee city, Memphis, ranks among the rather affordable destinations at an average rate of $142 per night for its least expensive double room. By far the cheapest destination is Las Vegas, Nevada, where an overnight visitor can find a room for around $60 per night. To see where other business travel destinations ranked at Travel Daily News, click here.